For us is better than a heavenly seat. When Earth said, "Madinah is located on me"
Prophet described Ali as "dust’s father"
Who is our wise guide and brave leader. Under this earth is our Prophet’s place of rest. 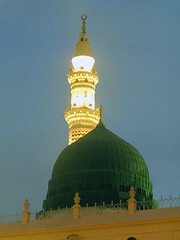 note / Madinah or Medina is where Prophet Muhammad's tomb is located. may God shower infinite blessings upon the Prophet.